Wellington B Mark IA. The geodesic construction is evident through the perspex windows along the aircraft's side. The Wellington was used as a night bomber in the early years of the Second World War, performing as one of the principal bombers used by Bomber Command. During 1943, it started to be superseded as a bomber by the larger four-engined "heavies" such as the Avro Lancaster. The Wellington continued to serve throughout the war in other duties, particularly as an anti-submarine aircraft. It holds the distinction of having been the only British bomber that was produced for the duration of the war, and of having been produced in a greater quantity than any other British-built bomber. The Wellington remained as first-line equipment when the war ended, although it had been increasingly relegated to secondary roles. The Wellington was one of two bombers named after Arthur Wellesley, 1st Duke of Wellington, the other being the Vickers Wellesley. A larger heavy bomber aircraft designed to Specification B.1/35, the Vickers Warwick, was developed in parallel with the Wellington; the two aircraft shared around 85% of their structural components. Many elements of the Wellington were also re-used in a civil derivative, the Vickers VC.1 Viking. In October 1932, the British Air Ministry invited Vickers to tender for the recently issued Specification B.9/32, which sought a twin-engine medium daylight bomber. In response, Vickers conducted a design study, led by Chief Designer Rex Pierson Early on, Vickers' chief structures designer Barnes Wallis proposed the use of a geodesic airframe, inspired by his previous work on airships and the single-engined Wellesley light bomber. During structural testing performed at the Royal Aircraft Establishment, Farnborough, the proposed structure demonstrated not only the required strength factor of six, but reached 11 without any sign of failure, proving the geodesic airframe to possess a strength far in excess of normal levels. This strength allowed for the structure design to be further developed to reduce the size of individual members and adopt simplified standard sections of lighter construction. Vickers studied and compared the performance of various air and liquid-cooled engines to power the bomber, including the Bristol Pegasus IS2, Pegasus IIS2, the Armstrong Siddeley Tiger, and the Rolls-Royce Goshawk I. The Pegasus was selected as the engine for air-cooled versions of the bomber, while the Goshawk engine was chosen for the liquid-cooled engine variant. On 28 February 1933, two versions of the aircraft, one with each of the selected powerplants, were submitted to the tender. In September 1933, the Air Ministry issued a pilot contract for the Goshawk-powered version. In August 1934, Vickers proposed to use either the Pegasus or Bristol Perseus engines instead of Goshawk, which promised improvements in speed, climb rate, ceiling, and single-engine flight capabilities without any major increase in all-up weight; the Air Ministry accepted the proposed changes. Other refinements of the design had also been implemented and approved, such as the adoption of variable-pitch propellers, and the use of Vickers-produced gun turrets in the nose and tail positions. By December 1936, the specification had been revised to include front, rear, and midship wind-protected turret mountings. Other specification changes included modified bomb undershields and the inclusion of spring-loaded bomb bay doors. The proposal had also been developed further, a mid-wing arrangement was adopted instead of a shoulder-mounted wing for greater pilot visibility during formation flight and improved aerodynamic performance, as well as a substantially increased overall weight of the aircraft. Design studies were also conducted on behalf of the Air Ministry into the adoption of the Rolls-Royce Merlin engine. In spite of a traditional preference of the establishment to strictly adhere to the restrictive tare weight for the aircraft established in the tender, both Pierson and Wallis firmly believed that their design should adopt the most powerful engine available. Perhaps in response to pressure from Vickers, the Air Ministry overlooked, if not openly accepted, the removal of the tare weight restriction, as between the submission of the tender in 1933 and the flight of the first prototype in 1936, the tare weight eventually rose from 6,300lb to 11,508lb. The prescribed bomb load and range requirements were routinely revised upwards by the Air Ministry; by November 1935, figures within the Ministry were interested in the possibility of operating the aircraft at an all-up weight of 30,500lb, which aviation author C.F. Andrews stated to be "a very high figure for a medium bomber of those days". During the development phase of the aircraft, the political and military situations in Europe drastically transformed. With the rise of fascist dictatorships in Germany and Italy, the British government had become keen to reevaluate the capabilities of the nation's armed forces, including the Royal Air Force (RAF). By 1936, the need for a high priority to be placed on the creation of a large bomber force, which would form the spearhead of British offensive power, had been recognised; accordingly, a new command organisation within the RAF, Bomber Command, was formed that year to deliver upon this requirement. In early 1936, an initial prototype, K4049, which was originally designated as a Type 271, was assembled. The prototype could accommodate a payload of nine 250lb or 500lb bombs, and both nose and tail gun positions were fitted with hand-operated turrets furnished with a single gun in each, provisions for a third retractable gun in a dorsal position were also present. It had provisions for a crew of four, along with a fifth position for performing special duties. On 5 June 1936, the name Crecy was initially chosen for the type, and it was publicly displayed as such. On 15 August 1936, the aircraft was accepted for production. On 8 September 1936, the name Wellington was adopted for the type; Pierson later explained that this was due to Air Ministry nomenclature and also followed the tradition set by the Vickers Wellesley of possessing names referring back to the Duke of Wellington. On 12 December 1936, a corresponding works order was issued for the Wellington. On 15 June 1936, K4049 conducted its maiden flight from Brooklands. Vickers chief test pilot Joseph Summers flew K4049 on its first flight, accompanied by Wallis and Trevor Westbrook. The aircraft soon came to be largely regarded as being an advanced design for its era and proved to have considerable merit during its flight trials. On 19 April 1937, K4049 was destroyed by an accident during a service test flight by Maurice Hare. The cause was the failure of the elevator's horn balance due to excessive slipstream exposure, leading to the aircraft inverting and rapidly descending into terrain. It was completely destroyed in the crash, which also resulted in the death of Smurthwaite the navigator. The horn balances would later be deleted, and thus not feature on production aircraft. In addition to the prototype, refinement of the Wellington's design was influenced by the issuing of Specifications B.1/35 and B.1/35, the latter of which had led to the parallel development of a larger bomber aircraft, the Vickers Warwick. According to Andrews, the Wellington was practically redesigned to form the first production model of the aircraft, during which extensive details attributed to the Warwick were added, such as the deepening of the fuselage, the lengthening of the nose, a reshaped horizontal tail unit, and an increased crew complement for four to five members. Other changes made included the adoption of a retractable tailwheel and constant-speed propellers; the Air Ministry also requested the adoption of a Nash & Thompson-design ventral turret in place of the Vickers design. On 23 December 1937, the first production Wellington Mk I, L4212, conducted its first flight; L4212 subsequently participated in an intensive flight programme. Flight trials with L4212 confirmed the aerodynamic stability initially encountered by K4049, but also revealed the aircraft to be nose-heavy during dives, which was attributed to the redesigned elevator. Accordingly, modifications, including the interlinking of the flaps and the elevator trim tabs, were successfully trialled on L4212 to resolve the issue. A war time poster using a cutaway of a Vickers Wellington to illustrate how scrap and salvage was recycled for use in the production of war material. The poster expands on how different materials were used to make specific components of the bomber. In August 1936, an initial order for 180 Wellington Mk I aircraft, powered by a pair of 1,050 hp (780 kW) Bristol Pegasus radial engines, was received by Vickers; it had been placed so rapidly that the order occurred prior to the first meeting intended to decide the details of the production aircraft. In October 1937, another order for a further 100 Wellington Mk Is, produced by the Gloster Aircraft Company, was issued; it was followed by an order for 100 Wellington Mk II aircraft, which were instead powered by a pair of Rolls-Royce Merlin X V12 engines. Yet another order was placed for 64 Wellingtons produced by Armstrong Whitworth Aircraft. With this flurry of order and production having been assured by the end of 1937, Vickers set about simplifying the manufacturing process of the aircraft and announced a target of building one Wellington per day. Construction took longer to build due to the geodesic fuselage in comparison to other designs using monocoque approach, leading to criticism of the Wellington. In particular, it was difficult to cut holes in the fuselage for access or equipment fixtures; to aid manufacturing, the Leigh light was deployed through the mounting for the absent FN9 ventral turret. In the late 1930s, Vickers built Wellingtons at a rate of one per day at Weybridge and 50 a month at Broughton in North Wales. Many of the employees on the production lines were only semi-skilled and new to aircraft construction. Peak wartime production in 1942 saw monthly rates of 70 at Weybridge, 130 at Broughton and 102 at Blackpool. Shadow factories were set up to produce parts for the Wellington all over the British Isles. In October 1943, as a propaganda and morale-boosting exercise, workers at Broughton gave up their weekend to build Wellington number LN514 rushed by the clock. The bomber was assembled in 23 hours 50 minutes, and took off after 24 hours 48 minutes, beating the record of 48 hours set by a factory in California. Each Wellington was usually built within 60 hours. It was filmed for the Ministry of Information for a newsreel Worker's Week-End, and was broadcast in both Britain and America. It was the first time in the world that a British aircraft manufacturer had attempted such a feat with a metal aircraft of this scale. A total of 180 Wellington Mk I aircraft were built; 150 for the RAF and 30 for the Royal New Zealand Air Force (RNZAF) (which were transferred to the RAF on the outbreak of war and used by 75 Squadron). In October 1938, the Mk I entered service with 9 Squadron. The Wellington was initially outnumbered by the Handley Page Hampden (also ordered by the Ministry to B.9/32) and the Armstrong Whitworth Whitley (to B.34/3 for a 'night' bomber) but outlasted both rival aircraft in service. The Wellington went on to be built in 16 separate variants, in addition to two training conversions after the war. The number of Wellingtons built totalled 11,462 of all versions, a greater quantity produced than any other British bomber. On 13 October 1945, the last Wellington to be produced rolled out. The Wellington Mk I was quickly superseded by several successive variants featuring various improvements. Improvements to the turrets and the strengthening of the undercarriage quickly resulted in the Wellington Mk IA. According to Andrews, the IA model bore more similarities to the later Wellington Mk II than to its Mk I predecessor. Due to armament difficulties encountered that left the Wellington with weaker than intended defences, the Wellington Mk IB was proposed for trials, but appears to have been unbuilt. Further development of various aspects of the aircraft, such as the hydraulics and electrical systems, along with a revision of the ventral turret gun, led to the Wellington Mk IC. In January 1938, design work on what would become the Wellington Mk II formally commenced. The principal change on this model was the adoption of the Merlin engine in place of the Pegasus XVIII; other modifications included hydraulic and oxygen system revisions along with the installation of cabin heating and an astrodome. On 3 March 1939, L4250, the prototype Mk II, performed its maiden flight; this had been delayed due to production delays of its Merlin X engines. Stability and balance issues were encountered during flight tests of the prototype, resulting in further changes such as the enlargement of the tailplane. By late 1939, the Mk II was capable of delivering superior performance to the Mk IC, such as higher cruising and top speeds, increased all-up weight or alternatively greater range, and a raised ceiling. The Vickers Wellington was a twin-engined long-range medium bomber, initially powered by a pair of Bristol Pegasus radial engines, which drove a pair of de Havilland two-pitch propellers. Various different engines and propeller configurations were used on different variants of the aircraft, which included several models of both the Bristol Hercules and the iconic Rolls-Royce Merlin engines. Recognisable characteristics of the Wellington include the high aspect ratio of its tapered wing, the depth of its fuselage, and the use of a tall single vertical stabiliser on its tail unit, which reportedly aided in recognition of the type. The Wellington typically had a crew of five. The bomb-aimer was located within the aircraft's nose. The Wellington could be fitted with dual flight controls, and specialised dual-control conversion sets were developed for the purpose of performing training upon the type. The cockpit also contained provisions for heating and de-icing equipment, which was introduced on later models of the Wellington. The Wellington Mk I had a maximum offensive bomb load of 4,500 lb (2,000 kg), more than one-fifth of the overall aircraft's 21,000 lb (9,500 kg) all-up weight. Additional munitions and an expanded bombing capacity were a recurring change made in many of the subsequent variants of the Wellington developed during the war, including the carrying of ever-larger bombs. Defensive armaments comprised the forward and tail turret gun positions, along with a retractable revolving ventral turret. Due to the high cruising speeds of the Wellington, it had been realised that fully enclosed turrets, as opposed to semi-enclosed or exposed turrets, would be necessary; the turrets were also power-operated in order to traverse with the speed and manoeuvrability necessary to keep up with the new generations of opposing fighter aircraft. Due to the specialised nature of increasingly advanced turrets, these were treated as ancillary equipment, being designed and supplied independently and replacing Vickers' own turrets developed for the aircraft. The turrets initially used a Nash & Thompson control unit, while each position was equipped with a pair of .303 in (7.7 mm) Browning machine guns. On many Wellington variants, the Vickers-built ventral turret of the Mk I was replaced by a Nash & Thompson-built counterpart as standard. A key innovation of the Wellington was its geodesic construction, devised by aircraft designer and inventor Barnes Wallis. The fuselage was built from 1,650 elements, consisting of duralumin W-beams which formed into a metal framework. Wooden battens were screwed to the beams and were covered with Irish linen; the linen, treated with layers of dope, formed the outer skin of the aircraft. The construction proved to be compatible with significant adaptations and alterations including greater all-up weight, larger bombs, tropicalisation, and the addition of long-range fuel tanks. 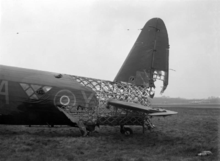 The metal lattice gave the structure considerable strength, with any single stringer able to support a portion of load from the opposite side of the aircraft. Heavily damaged or destroyed beams on one side could still leave the aircraft structure viable; as a result, Wellingtons with huge areas of framework missing were often able to return home when other types would not have survived, leading to stories of the aircraft's 'invulnerability'. The effect was enhanced by the fabric skin occasionally burning off leaving the naked frames exposed. A further advantage of the geodesic construction of the wings was its enabling of a unique method for housing the fuel, with each wing containing three fuel tanks within the unobstructed space provided between the front and rear spars outboard of the engines. A disadvantage of the geodesic fuselage structure was its insufficient lengthwise stiffness: when fitted with attachment for towing cargo gliders, its structure "gave" and stretched slightly. So, while the airframe continued to be structurally sound, the forces in the long control runs of cables and push-pull rods to the empennage grew considerably, affecting controllability of the airplane. This is the reported reason why Wellingtons (and Warwicks for that matter) were not used as glider tugs. On 3 September 1939, the eve of the outbreak of the Second World War, No. 3 Group of Bomber Command comprised eight squadrons (No. 9, No. 37, No. 37 No. 38, No. 99, No. 115 and No. 149 Squadrons), alongside two reserve squadrons (No. 214 and No. 215 squadrons), that were equipped with a mixture of Wellington Mk I and Mk IA aircraft. On 4 September 1939, less than 24 hours after the commencement of hostility, a total of 14 Wellingtons of No. 9 and No. 149 Squadrons, alongside a number of Bristol Blenheim aircraft, performed the first RAF bombing raid of the war, targeting German shipping at Brunsbüttel. The bombing of the harbour itself had not been permitted by the Chamberlain War Cabinet for fear of injuring civilians. The effectiveness of the raid was diminished by a combination of poor weather and high amounts of anti-aircraft fire. During this opening raid, a pair of Wellingtons became the first aircraft to be lost on the Western Front. On 3 December 1939, 24 Wellingtons of No. 38, No. 115 and No. 147 Squadrons attacked the German fleet moored at Heligoland. The bombing commenced from high altitude and, while results of the bombing itself proved negligible in terms of damage, the ability of a formation of Wellingtons to adequately penetrate strongly defended hostile airspace was validated. On 14 December 1939, 12 Wellingtons of No. 99 Squadron conducted a low-level raid upon German shipping at the Schillig Roads and Wilhelmshaven. Encountering enemy fire from warships, flak, and Luftwaffe aircraft, the Wellington formation lost five aircraft, along with another that crashed near its base, while only one enemy fighter was downed. On 18 December 1939, 24 Wellingtons of No. 9, No. 37 and No. 149 Squadrons participated in the Battle of the Heligoland Bight against the German fleet and naval bases in both the Schillig Roads and Wilhelmshaven. The Wellingtons were unable to deploy their bombs as all vessels were in harbour, thus restrictions on endangering civilians prevented their engagement. Having been alerted by radar, Luftwaffe fighter aircraft intercepted the incoming bombers near to Heligoland and continuously attacked the formation much of the way home. In total, 12 of the bombers were destroyed and a further three were badly damaged. Defensive fire from the turrets downed four aircraft. The action at Heligoland highlighted the Wellington's vulnerability to attacking fighters, possessing neither self-sealing fuel tanks nor sufficient defensive armament. In particular, while the nose and tail turrets protected against attacks from the front and rear, the Wellington had no defences against attacks from the beam and above, as it had not been believed that such attacks were possible owing to the high speed of aircraft involved. As a consequence of the losses taken, the tactic of unescorted day bombing was abandoned, and Bomber Command decided to use the Wellington force to attack German communications and industrial targets instead. Vickers Wellingtons of 9 Squadron, on a mission in WW2, flying in formation. Another key decision made was to switch the Wellington to night operations; on 25 August 1940, the type participated in the first night raid on Berlin. During the First 1,000 bomber raid on Cologne, conducted on 30 May 1942, 599 out of 1,046 RAF aircraft dispatched were Wellingtons; of these, 101 were flown by Polish aircrews. During operations under Bomber Command, Wellingtons flew a total of 47,409 operations, dropped 41,823 tons (37,941 tonnes) of bombs and lost 1,332 aircraft in action. In one high-profile incident, a German Bf 110 night-fighter attacked a Wellington returning from an attack on Münster, causing a fire at the rear of the starboard engine. The second pilot, Sergeant James Allen Ward (RNZAF) climbed out of the fuselage, kicked holes in the doped fabric of the wing for foot and hand holds to reach the starboard engine and smothered the burning upper wing covering. He and the aircraft returned home safely and Ward was awarded the Victoria Cross. The Wellington was also adopted by Coastal Command, in which it contributed to the Battle of the Atlantic. It was used to carry out anti-submarine duties; on 6 July 1942, a Wellington sank its first enemy vessel. Specialised DWI variants were developed fitted with a 48 ft (14.63 m) diameter metal hoop were used for exploding enemy mines by generating a powerful magnetic field as it passed over them. In 1944, Wellingtons of Coastal Command were deployed to Greece and performed various support duties during the British intervention in the Greek Civil War. A few Wellingtons were operated by the Hellenic Air Force. While the Wellington was superseded in the European Theatre, it remained in operational service for much of the war in the Middle East and in 1942, Wellingtons based in India became the RAF's first long-range bomber operating in the Far East. It was particularly effective with the South African Air Force in North Africa. The Wellington also served in anti-submarine duties with 26 Squadron SAAF based in Takoradi, Gold Coast (now Ghana). In late 1944, a radar-equipped Wellington XIV from 407 Sqn. RCAF was modified for use by the RAF's Fighter Interception Unit as what would now be described as an airborne early warning and control aircraft. It operated at an altitude of 4,000 ft (1,219 m) over the North Sea to control a de Havilland Mosquito and a Bristol Beaufighter fighter intercepting Heinkel He 111 bombers flying from Dutch airbases and carrying out airborne launches of the V-1 flying bomb. The FIU operators on the Wellington would search for the He 111 aircraft climbing to launch altitude, then direct the Beaufighter to the bomber, while the Mosquito would attempt to intercept the V-1 if launched. The Wellington is listed in the appendix to the novel KG 200 as one flown by the German secret operations unit KG 200, which also tested, evaluated and sometimes clandestinely operated captured enemy aircraft during the Second World War. 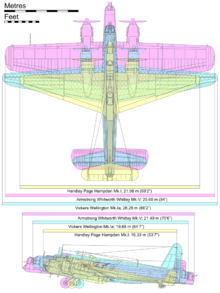 Scale comparison diagram of the trio of British twin-engined medium bombers at the outbreak of the Second World War: Wellington (blue), Handley Page Hampden (yellow) and Armstrong Whitworth Whitley (pink). The first Wellington bomber prototype. One pre-production prototype. Powered by two Bristol Pegasus X radial piston engines. The first production version. Powered by two 1,000 hp (750 kW) Bristol Pegasus XVIII radial piston engines. Fitted with Vickers gun turrets, 183 built at Weybridge and Chester. Production version built to B Mark II specifications with provision for either Pegasus or Rolls-Royce Merlin engines, although only 1,000 hp (750 kW) Pegasus XVIII engines were used in practice. Main landing gear moved forward 3 in (8 cm). Fitted with Nash & Thompson gun turrets. 187 built at Weybridge and Chester. The first main production variant was the Mark IC which added waist guns to the Mark IA. A total of 2,685 were produced. The Mark IC had a crew of six: a pilot, radio operator, navigator/bomb aimer, observer/nose gunner, tail gunner and waist gunner. A total of 2,685 were built at Weybridge, Chester and Blackpool. The Merlin-engined Wellington Mark II. This aircraft belongs to No. 104 Sqn. Notice the criss-cross geodesic construction through the perspex fuselage panels. The B Mark II was identical to the Mark IC with the exception of the powerplant; using the 1,145 hp (855 kW) Rolls-Royce Merlin X engine instead. A total of 401 were produced at Weybridge. The next significant variant was the B Mark III which featured the 1,375 hp (1,205 kW) Bristol Hercules III or XI engine and a four-gun tail turret, instead of two-gun. A total of 1,519 Mark IIIs were built and became mainstays of Bomber Command through 1941. A total of 1,517 were built at Chester and Blackpool. The 220 B Mark IV Wellingtons used the 1,200 hp (900 kW) Pratt & Whitney Twin Wasp engine and were flown by two Polish and two RAAF squadrons. A total of 220 were built at Chester. Pressurised with a long wingspan and 1,600 hp (1,190 kW) Merlin R6SM (60-series, two-stage) engines, 63 were produced and were operated by 109 Squadron and as Gee radio navigation trainers. A total of 63 were built at Weybridge. The B.VI's high-altitude fuselage design optimised for pressurisation had a solid, bullet-like nose with no nose turret, and a cockpit with a Canberra-like bubble canopy. This is the aircraft that spurred Rolls-Royce into developing the two-stage supercharged Merlin 60-series engine. The most widely produced variant of which 3,804 were built. It was similar to the Mark III except for the 1,675 hp (1,250 kW) Hercules XVIII powerplant. The Mark X was the basis for a number of Coastal Command versions. A total of 3,803 were built at Chester and Blackpool. Mark IC conversion for Coastal Command service. Roles included reconnaissance, anti-submarine and anti-shipping attack. A Coastal Command Wellington was the first aircraft to be fitted with the anti-submarine Leigh light. A total of 307 were built at Weybridge, 58 fitted with the Leigh Light. Maritime version of B Mark X with an ordinary nose turret and mast radar ASV Mark II instead of chin radome, no waist guns, 180 built at Weybridge and Blackpool. Maritime version of B Mark X armed with torpedoes and with a chin radome housing the ASV Mark III radar, single nose machine gun, 58 built at Weybridge and Chester. Maritime version of B Mark X with an ordinary nose turret and mast radar ASV Mark II instead of chin radome, no waist guns, 844 built Weybridge and Blackpool. Maritime version of B Mark X with a chin radome housing the ASV Mark III radar and RP-3 explosive rocket rails under the wings. 841 built at Weybridge, Chester and Blackpool. Service conversions of the Wellington Mark IA into unarmed transport aircraft; able to carry up to 18 troops. Service conversions of the Wellington Mark IC into unarmed transport aircraft; able to carry up to 18 troops. Service conversions of the Wellington bomber into training aircraft with Air Intercept radar; powered by two Bristol Hercules XVII radial piston engines. Production version. Powered by two Bristol Hercules XVI radial piston engines. A total of 80 were built at Blackpool, plus some conversions. Service conversions of the Wellington Mark X used for navigation training; remained in use as a trainer until 1953. Postwar conversions of the Wellington Bomber into training aircraft by Boulton Paul in Wolverhampton. For navigation training the front turret was removed and replaced by a fairing and the interior re-equipped. Some were sold to France and Greece. one aircraft L4250; powered by two 1,145 hp (854 kW) Rolls-Royce Merlin inline piston engines. Serial R1220; powered by two Pratt & Whitney Twin Wasp radial piston engines. The original Wellington II prototype was converted with the installation of a 40 mm (1.57 in) Vickers S gun in the dorsal position. Conversion of four Wellington Mark IAs to minesweeping aircraft. Fitted with Ford V-8 petrol engine and Mawdsley electrical generator to induce magnetic field in a 48 ft (14.63 m) diameter loop mounted under fuselage. They had a solid nose with a bracket supporting the loop, which was also supported under the rear fuselage and the wings, outboard of the engines. DWI stood for "Directional Wireless Installation" – a cover story for the true purpose of the loop. DWI Mark I aircraft upgraded by installation of De Havilland Gipsy engine for increased generation power. At least 11 further aircraft converted to this standard. Second and first prototypes respectively: three were built, designed for pressurised, high-altitude operations using turbocharged Hercules VIII engines. One Wellington Mark V with Merlin 60-series engines, high-altitude prototype only. Production version of Type 431. Two aircraft were only built. Single aircraft, built as a testbed for the 40 mm Vickers S gun turret. conversion of one Wellington to test Turbinlite. one Mark IC conversion for troop transport. one Wellington Mark II was converted with the installation of a 40 mm Vickers S gun in the nose. one Wellington was used to test the Bristol Hercules VIII engine. one Wellington was used to test the Whittle W2B/23 turbojet engine, the engine was fitted in the tail of the aircraft. prototypes with ASV Mark II, ASV Mark III radars, and powered by two Bristol Hercules VI and XVI radial piston engines. This designation covers two Wellington Mark II aircraft fitted with the Whittle W2B and W2/700 respectively. one Wellington was used to test the Bristol Hercules 100 engine. one Wellington was fitted with two Rolls-Royce Dart turboprop engines. one Wellington was used for glider tug, for glider clearance for Hadrian, Hotspur and Horsa gliders. A total number of 11,461 aircraft is most often quoted, notably by Andrews & Morgan (1988); however, they appear to have totalled incorrectly as, using their own data, the total is 11,462. There is some question over several individual aircraft, so the actual total may be a few either side of this figure. In combination, the Wellingtons and 846 Warwicks represent over 75% of the total number of aircraft built by the Vickers-Armstrongs company. There are two complete surviving Vickers Wellingtons preserved in the United Kingdom. Some other substantial parts also survive. Wellington IA serial number N2980 is owned by Brooklands Museum at Brooklands, Surrey. Built at Brooklands and first flown in November 1939, this aircraft took part in the RAF's daylight bombing raids on Germany early in the Second World War but later lost power during a training flight on 31 December 1940 and ditched in Loch Ness. All the occupants survived except the rear gunner, who was killed when his parachute failed to open. The aircraft was recovered from the bottom of Loch Ness in September 1985 and restored in the late 1980s and 1990s. A new Wellington exhibition featuring N2980 was officially opened by Robin Holmes (who led the recovery team), Penelope Keith (as trustee of Brooklands Museum), Norman Parker (who worked for Vickers) and Ken Wallis (who flew Wellingtons operationally) on 15 June 2011, the 75th anniversary of the first flight of the type's effective prototype in 1936. On 15 September 2016, after having its outer wings removed the day before, N2980 was towed from the Bellman hangar in which it was restored and where it had been displayed for nearly 30 years. This move was the first time that 'R' for 'Robert' had moved on its undercarriage since its last flight in 1940. The aircraft was exhibited in a temporary building while the Bellman hangar was relocated and restored until taken off display and moved back into the latter building on 25 July 2017. The aeroplane is the centre-piece of the 'Brooklands Aircraft Factory' exhibition about the aircraft industry at Brooklands, which was formally opened on 13 November 2017. Wellington T.10 serial number MF628 is held by the Royal Air Force Museum. It was delivered to RAF No.18 MU (Maintenance Unit) for storage at RAF Tinwald Downs, Dumfries, as a Wellington B.X, on 11 May 1944. In March 1948 the front gun turret was removed in its conversion to a T.10 for its role as a postwar aircrew trainer. This aircraft is the Wellington seen taking off in The Dam Busters and was also used for some air-to-air photography on the movie. This aircraft made the last flight of a Wellington, from Aston Down to Wisley, in January 1955. The RAF Museum later refitted the front gun turret in keeping with its original build as a B.X (wartime mark numbers used Roman numerals, Arabic numerals were adopted postwar). In Autumn 2010, this aircraft was taken to the RAF Museum's site at Cosford for restoration which is currently ongoing. The Wellington was nicknamed the Wimpy by RAF personnel, after the portly J. Wellington Wimpy character from the Popeye cartoons. Nebeští jezdci ("Riders in the Sky") (1968), about a Czechoslovakian bomber crew in the RAF, based on the real operations of No. 311 Squadron RAF. Target for Tonight (1941), a documentary about a Wellington on a raid over Germany. Worker's Week-End (1943), a documentary newsreel about the construction of Vickers Wellington LN514 in record time. One of Our Aircraft is Missing a 1942 British war film. A straight at Silverstone Racing Circuit is named Wellington Straight after the aircraft that use to take off there. ^ Andrews and Morgan 1988, p. 363. ^ Murray 2012, p. 154. ^ "Remembering Rex Pierson". Flight and Aircraft Engineer. LXII (2287): 651. 21 November 1952. Retrieved 6 November 2015. ^ a b c d e f g Andrews 1967, p. 3. ^ a b c d e f Andrews 1967, p. 5. ^ a b c d e f Andrews 1967, p. 6. ^ a b Andrews 1967, pp. 5–6. ^ Andrews 1967, pp. 3, 5–6. ^ a b c d e f g h i j k Andrews 1967, p. 7. ^ Andrews 1967, pp. 6–7. ^ a b c d Andrews 1967, p. 10. ^ Andrews 1967, pp. 7, 10. ^ Andrews 1967, pp. 10–11. ^ a b c d Andrews 1967, p. 11. ^ Andrews 1967, pp. 3–4. ^ a b c d e f g h i Andrews 1967, p. 4. ^ Andrews 1967, pp. 4–5. ^ "Building a bomber plane in just a day." BBC News Magazine, 13 September 2010. ^ "Workers weekend" "Workers weekend (video)"The National Archives. Retrieved: 12 February 2014. ^ Andrews 1967, pp. 11–12. ^ a b Andrews 1967, pp. 12–13. ^ Andrews 1967, p. 12. ^ a b c d e f Andrews 1967, p. 13. ^ Andrews 1967, pp. 13, 14. ^ a b c d e f Andrews 1967, p. 14. ^ a b Richards 1953, p. 46. ^ Richards 1995, p. 115. ^ Jackson 2007, p. 217. ^ a b c d e Andrews 1967, p. 16. ^ Andrews 1970, pp. 44–56. ^ a b c d e f Simpson, Andrew. "Vickers Wellington X MF628/9210M: Museum Accession Number 69/A/17." Royal Air Force Museum. Retrieved: 13 January 2008. ^ "Pewter Aircraft Wellington DWI page." Pewter Aircraft. Retrieved: 14 January 2008. ^ Murray, 2012, p. 39. ^ "Spectacular new Brooklands Aircraft Factory and Flight Shed opened by Prince Michael of Kent". Brooklands Museum. Retrieved 3 February 2017. ^ a b "Vickers Wellington X. "[permanent dead link] Royal Air Force Museum. Retrieved: 13 January 2008. ^ "Wellington Aviation Museum: The Vickers Wellington". Retrieved 28 May 2018. ^ Kucera, Pawel. "Recreating a Wimpy". Aeroplane Monthly, September 2001. pp. 72–75. Cooksley, Peter G. Wellington, Mainstay of Bomber Command. Wellingborough, Northamptonshire: Patrick Stephens Ltd., 1987. ISBN 0-85059-851-6. Jackson, Robert, ed. 101 Great Bombers. New York: Rosen Publishing Group, 2010. ISBN 978-1-4358-3594-8. Lihou, Maurice. Out of the Italian Night: Wellington Bomber Operations 1944–45. Shrewsbury, UK: Airlife Publishing Ltd., 2003. ISBN 1-84037-405-5. Murray, Dr. Iain Bouncing-Bomb Man: The Science of Sir Barnes Wallis. Haynes, 2009. ISBN 978-1-84425-588-7. 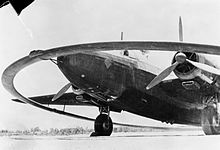 Wikimedia Commons has media related to Vickers Wellington.